in Burnhamthorpe/Confederation, Mississauga Announcing a rent/lease drop on 902 4011 Brickstone Mews #902, a 2 bath , 2 bdrm single story. Now FOR RENT CAD2,350 ML . 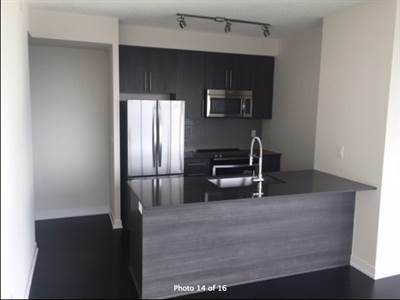 • 3 bath , 2 bdrm 2 story – FOR RENT CAD2,190 1Y . in Binbrook, Hamilton Announcing a price drop on 44 Fowler Dr, a 3 bath , 4 bdrm 2 story. Now FOR SALE CAD699,900 . • 3 bath , 2 bdrm 2 story – FOR SALE CAD499,990 . 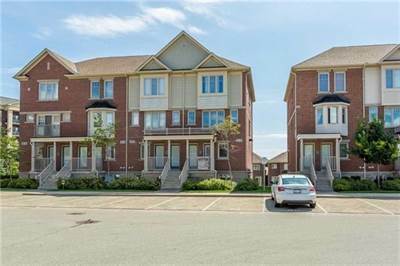 Well Kept Gorgeous, End Unit, Stack Townhouse, Freshly Painted W/ Neutral Decor, Hrdwd On M/Floor, Upgraded Lights, Chandelier, Sunny&Spacious Open Concept Liv/Din & Kitch. 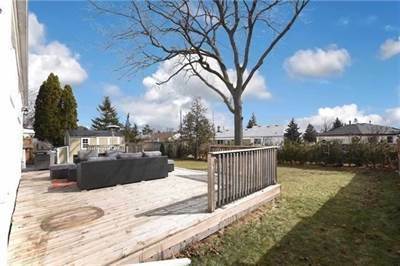 Iron Pickets,2 Generous Size Bdrms, 3 Baths, Master Bed W/ 5 Pc En-Suite & W/O To Yard. Carpets In Bdrms, Close To Transit&Go Stations. Easy Access To Major Hwys. 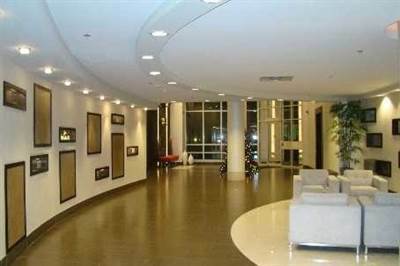 Surrounded By Great Schools, Walking Distance To Amenities Like Shopping, Coffee Shops, Restaurants. 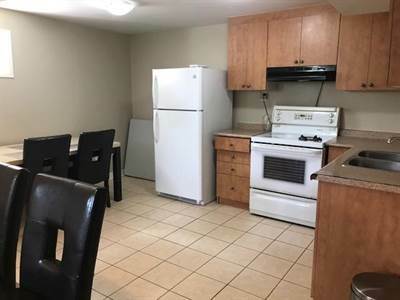 Extras:Stinaless Steel Appliances, Fridege, Ss Stove,Ssdishwasher, Ssmicrowave,Washer/Dryer, All Window Coverings And Elfs, Two Parking Incl., # 43 In Front Of The Unit. Brkage Remks:Please Attach Form 801 And Schedule B To All Offers 24Hrs Irrevocable. Please Remove Shoes, Turn Off Light And Lock Door, Pre-Emptive Offer Will Be Considered At Any Time, Offer Presentation Will Be Sept 07, 2018 At 6.00 Pm. • 1 bath , 2 bdrm 2 story – FOR RENT CAD1,500 1Y . Gorgeous fully furnished Two Bedrooms Basement Apartment bigger room for $850 and small room for $650 with one full washroom for Female Students only.Facilities included:water,gas,electricity,high speed internet,TV channels,Netflix and 45″ TV in Beautiful living Room.Laundry shared with landlord twice a week evening time Monday and Thursday.Lots of storage place and closets,fully Equipped kitchen.Transit is available in front of house.NO. SMOKING. NO. PETS.Copy of drivers license and/or passport for identification purposes and References and Guarantors required.First and last month rent plus security deposit required.Available from 1st Sep.Clean quite student (s) only. • 3 bath , 4 bdrm 2 story – FOR SALE CAD749,900 . Extras:All Stainless Steel Appliances Incl., Fridge, Gas Stove, Dishwasher, Microwave, Hood, Washer And Dryer. Brkage Remks:Please Attach Schedule “B” & Form 801 With All Offers. Buyer / Buyer’s Agent, To Verify Measurements And Taxes Independently Verified. Deposit Must Be A Bank Draft Or Certified Cheque. Thanks For Showing! • 4 bath , 4 bdrm single story – FOR RENT CAD2,400 ML . 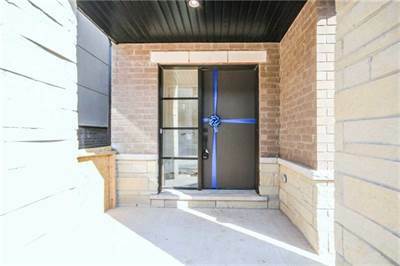 Breathtaking Brand New Modern 3-Storey Townhome. Open Concept Eat-In Kitchen Includes Breakfast Bar, Stainless Steel Appliances, And Walks Out To Back Deck. Hardwood Flooring Throughout Living/Dining Area. Master Suite Includes Walk-In Closet And 4 Piece Ensuite With Soaker Tub And Seperate Stand-In Shower. Enjoy Your Coffee Or Watch The Sunset On The Stunning Third Storey Terrace. Extras:Brand New Stainless Steel Fridge, Stove, Dishwasher. New Samsung Washer&Dryer. Brkage Remks:Vacant – Easy Lb Showing. Thanks For Showing! Please Attach Schedule B And Form 801. • 2 bath , 3 bdrm bungalow – FOR RENT CAD2,499 1Y . 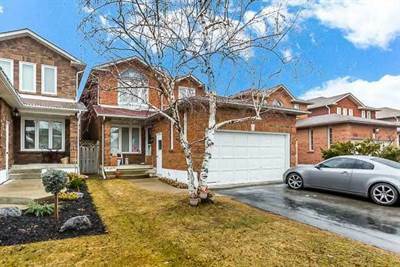 in Winston Churchill/Britannia, Mississauga Announcing a price drop on 3309 Columbine Cres, a 4 bath , 6 bdrm 2 story. Now FOR SALE CAD849,000 .